Swinging boogie composition written and performed by singer/arranger/composer Augustin Lehfuss, recorded in cooperation with famous Austrian boogie master Hannes Otahal and his trio. Composer and singer Augustin Lehfuss, until recently only well known as a skilled arranger for both classical orchestras and jazz ensembles, now presents his debut release as a jazz and boogie singer. The music is composed by himself and over years was already lively performed by various jump, jive and boogie bands all over Europe, before the desicion to finally record it was made. 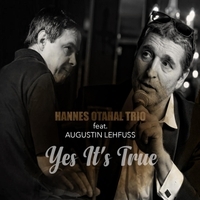 The singer’s long personal friendship with Austrian boogie master Hannes Otahal, well known among boogie woogie fans all over the globe, made it easy to cooperate with his trio. Now here we have a funny, swinging boogie woogie tune with a strong relationship to more modern swing music – dancers also will love it!